As the time-travel express got going, in the second half of the twentieth century, publishers must have had a panicky realization that they were using up all the possible titles. They run together in the mind: Time and Again — Time After Time — From Time to Time — Out of Time — A Rebel in Time — Prisoner of Time — The Depths of Time — The Map of Time — The Corridors of Time — The Masks of Time — There Will Be Time — Time’s Eye. At least four novels have been titled Time After Time. That’s not even to mention Cyndi Lauper! 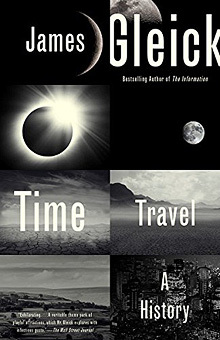 Title-wise, Gleick has wisely opted for the straightforward Time Travel: A History, which is perfectly descriptive for a history of the idea of time travel in culture and science. 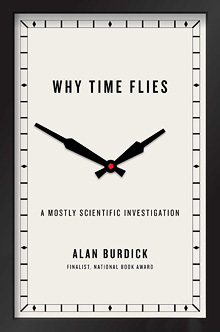 Alan Burdick strays into riskier territory with Why Time Flies, only a terminal question mark away from images of officials with stopwatches loitering around rotting carcasses. And one wonders if Raymond Tallis’s Of Time and Lamentation deliberately apes the title of a famous work by another Tallis — Tudor composer Thomas Tallis’s Lamentations of Jeremiah the Prophet. It is a strength of all three of these books that they flesh out the specifically human aspect of time. Physicists’ models of manifolds and spatio-temporal geometries, whatever their utility, are largely alien to the day-to-day experience of living “in time.” Indeed, Tallis builds his argument around the claim that modern physics actively distorts how time works on a human level. And both Gleick and Burdick structure their books around human stories and human points of view. “Human,” though, can be an over-leveling term. In fact, humans come in all sorts of different varieties. We only go so far if we replace the neutrally inhuman perspective “science” with the neutrally generic perspective “human.” All of us are shaped by our situations, our cultures and opportunities; and all of us exist in history, too. So I will here mount an argument for the usefulness of considering time from certain more particularly human perspectives, ones not considered in any of these books: farmers and hunter-gatherers. After all, how “we” perceive time is always going to depend upon the sort of people “we” are. Time Travel, the latest work by James Gleick (pronounced “Glick”) is a pleasingly varied compendium. It mixes accounts of the most famous fictional accounts of time travel — H. G. Wells’s Time Machine, spoiler-heavy summaries of Robert Heinlein’s “By His Bootstraps,” Isaac Asimov’s The End of Eternity, the BBC’s Doctor Who, and the other usual sci-fi suspects — with readings of T. S. Eliot, Marcel Proust, and William James. In between the book reports are lower-calorie accounts of the physics of time as presently understood; philosophical discussions about causality, free will, language, consciousness, and time paradoxes; and an interlude on the craze for burying time capsules. The whole thing is written with more charm than precision. For example, it’s odd that a study dedicated to Wells’s famous book refers to “the troglodytic Eloi and bovine Morlocks” — those adjectives are the wrong way around. Presumably that’s a slip, as is Gleick’s claim that “No one knows exactly what [ancient Greek philosopher] Heraclitus said, because he lived in a time and place that lacked writing” — Greeks were writing for at least two centuries before Heraclitus, and we have fragments of Heraclitus because he did write a book (On Nature), which was in turn quoted by other writers before the original was lost to time. Nobody but a heartless pedant fusses about such things, and Gleick certainly has a natty turn of phrase: “every death is an obliteration of memory”; “without randomness” — that is, entropy, the tendency of physical systems to become more disordered over time — “the clocks could run backward.” He’s a witty writer who chucks a great quantity of fascinating data at the page. Much of that data sticks. But the deluge of information also makes for a book that takes the reader on a whirlwind tour to ... well, to nowhere in particular. “We do seem to be traveling in circles,” he notes toward the end with a rather winning honesty. And his reply to his own question, “What is time?” — “Things change, and time is how we keep track” — really isn’t much of an answer. Gleick is not alone in arguing that time travel is a distinctly modern literary conceit. This idea is common among writers on the subject. Darko Suvin, in Metamorphoses of Science Fiction, argues that the “central watershed” of the development of science fiction was around 1800, when stories started being set not only in other places but also in other times. Placing the turn a touch earlier, Paul Alkon, in Origins of Futuristic Fiction, argues that “the impossibility of writing stories about the future was so widely taken for granted until the eighteenth century that only two earlier works of this kind are known” — an English propaganda pamphlet and a French romance, both from the seventeenth century. As I have described in The History of Science Fiction, there were in fact a number of pre–eighteenth century works that offered speculative questions about the future, or even visions of what it might look like, albeit that these were not quite stories set in the future. But more to the point, this literary history is only a step away from claiming that the ability to imagine the future at all is a very recent development in human history. This view would imply that science fiction is at root a farming literature. And that shouldn’t be such a surprise. Think of science fiction writers’ predilection for world-building: the careful mapping out of imagined societies, territories, mores, technologies, languages. Surely that’s a way of proceeding that has much more to do with farming than with hunting and gathering. Many writers who focus on Wells know how fond he was of cycling, and note that his Time Machine had a saddle. They encourage us to think of the machine as a bicycle. But perhaps we should think of it as a different sort of saddled machine — a tractor. We all slept so little and so irregularly that my working memory dissolved. I can recall watching The French Connection several times after midnight while bottle-feeding two infants but even now I couldn’t tell you the plot; there was a man with a beard, a subway chase, Gene Hackman in a porkpie hat. Actually not a bad summary of the film, I’d say. But you take his point. Why Time Flies scores high on two fronts: as an account of the ways mankind has attempted to fit the concept of time into increasingly fine-grained and abstracted varieties of clock time, and, relatedly, as an account of how we humans perceive time in our own minds. Most fascinating were the accounts of people who deliberately disrupted their circadian rhythms by, for instance, spending months in subterranean caverns. Burdick is entertaining on how weird people get under these circumstances, and interesting on how tied to the daily cues of daylight our sense of time is. Light, he argues, is the universal clock. A farmer might have planted all these fascinating nuggets in neat rows. Hunter-gatherer Burdick heaps them, instead, into four big piles, from which he invites the tribe to pull out what it will. There is a section called “The Hours,” which is loosely about clocks; “The Days,” about calendars; “The Present,” on the meaning of “now”; and a final one called “Why Time Flies,” which considers the ways people at varying stages of their lives perceive time’s passage. But the book dances back and forth among subjects, the same notions pop up intermittently but disjointedly, and there’s too little overarching narrative momentum to hold everything together. As with Gleick, Burdick’s focus is overwhelmingly on the twentieth and twenty-first centuries, with occasional glances back to William James and to Augustine’s Confessions. We learn about all sorts of recent experimental work — on how animals perceive time, the differences between babies’ and old people’s tense-senses, and the way emotions influence time perception. It is never actively uninteresting, although there is quite a lot of it, all minutely rendered, and eventually it starts to clog. I wake in the dark to a cry. It’s Leo, hungry. What time is it? ... With the aid of some twenty thousand clock cells and some specialized neurons in their retinas, Leo and Joshua have metabolized the daylight of almost their first three hundred and sixty-five days. One needn’t be a card-carrying, toothbrush-moustache-wearing Heideggerian to object to that thumbnail summary. Whatever else might be said about Dasein, “amorphous” is exactly the wrong word to describe it. This kind of airy dismissal strikes a bum note, as does Burdick’s summary of Kant as one who simply believes “we can somehow intuit the a priori nature of time,” which is careless to the point of negligence. we don’t perceive time directly, as we do with light or sound. Light we perceive by means of special cells in the retina which, when struck by photons, trigger neural signals that quickly reach the brain. Sound waves are detected with tiny hairs in the ear; their vibrations translate into electrical signals that the brain grasps as audio. But we don’t have special receptors for time. “The problem of the organ for time has haunted psychology for many years,” Wearden said. It hasn’t haunted Kantians, though, who understand time and space as the forms framing our senses rather than stimuli in the external world to be sensed in themselves. Burdick might just as well have pondered how strange it is that we lack special receptors to perceive height. 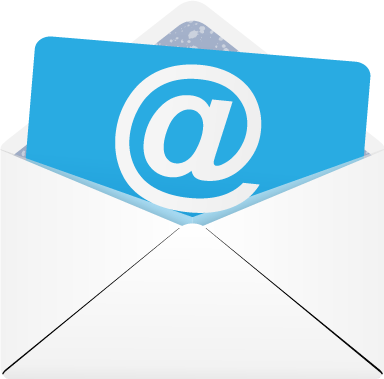 One could reply: Don’t we perceive height with our eyes? But this reply won’t do, or else we could also say that, since we can sit and watch paint dry, we perceive time with our eyes. Seeing a six-foot-eight man is perceiving one manifestation of height in the world, just as watching paint dry is observing one manifestation of time in the world. But in neither case are we perceiving either height or time directly. And, a Kantian might say, when you put it like that you can see that those looking for an “organ for time” are framing the question in the wrong way. But for all his philosophical shortcomings, Burdick has dug down deep into one narrow seam of the ways in which time is being researched nowadays. If you’re looking for an account of the psychology of time, you could do worse than this book. One of Tallis’s strengths as a writer and thinker is his intellectual hospitality. He presents this book, huge though it is, not as a summation of thoughts about time, but rather as “an argument with myself” about time and mortality, laid out so as to render its claims open to “auditing” by the reader. A hunter-gatherer is liable to think of space as something to move through to reach a specific goal — to track down and kill the antelope, to locate the tastier nuts or the accessible honeycomb. A farmer is obliged to think of space as something to be mapped and plotted, something to be curated and checked, something to be worked over and maintained. In that respect, Tallis as a writer is very much more farmer than hunter-gatherer. So, although it is both lengthy and dense, Of Time and Lamentation is a book that has been carefully planned, its main structure and central ideas curated over time and everything arrayed to help the reader navigate its landscape. The core project of the book is “rescuing time from the jaws of physics” — that is, time as theorized by contemporary science — while taking care not to fall into supernatural pseudo-explanations. There are three big fields on Tallis’s farm. One, called “Killing Time,” analyzes the way physics and mathematics have conceptualized time in terms of one or another species of odometry. Tallis explicitly sets out to demolish the notion that time is just another dimension of space, unpacking concepts like “the arrow of time” and challenging notions of clock time as an “objective” temporal measurement. At the same time he concedes that clock time — which is ultimately just the counted repetitions of some part of the universe, whether a swinging pendulum or a vibrating quartz crystal — is a more complicated business than he can cover, even in a book as large as this. 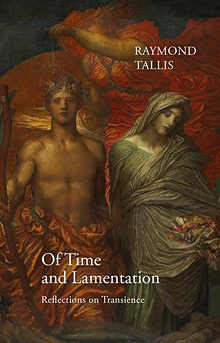 In the final part of the book, Tallis attempts “to see time as it really is.” He does what neither Gleick nor Burdick do, engaging at length with some of the most influential metaphysical theories of time. He disposes of Kant and Heidegger to his own (if not to my) satisfaction, but expresses a qualified regard for Henri Bergson, whose work has “obvious points of convergence” with his own. And he concludes with “possibly the most important purpose of this exploration of time,” an account of free will. Tallis’s conclusions root time in our existence and experience. Both of those are located in a universe that is vastly older and bigger than us, and that constrains, but crucially does not extirpate, our freedom to choose how to live and act. Throughout, Tallis writes clear, expressive prose, only occasionally slipping into ornateness or leavening his lump with slightly ponderous playfulness: “Time is mysterious; tea-time doubly so”; “Thus does maintenant” (French for now) “slip through our mains” (hands). Tallis, though always courteous, is never prepared to nod through another thinker’s intellectual delinquency, as he sees it. If your patience is tried by a lengthy itemization of all the places where one professor thinks another professor’s massive argument is not quite right, you’ll find stretches of the book hard going — and I’m afraid, as a professor reviewing another professor’s massive argument, I’m now going to try your patience further. A persistent refusal to be bamboozled, to retreat into fashionable jargon, or to fall into any kind of mystical cloud of unknowing has always characterized Raymond Tallis as a thinker. His approach is resolutely commonsensical. But time is perhaps the greatest challenge he has faced to this modus operandi. Between the darkness of the womb and that of the tomb, our life arcs through the light, and we exercise our mysterious capacity to shape, define, and enact ourselves, as beings both inside and outside of time. would be a rather odd thing for a dimension to get up to. Up–down, etc. don’t move through space. How could they when they are (aspects of) space? Nor do portions of space move through space. An object a kilometre long may move closer but we cannot think of a kilometre (or a cubic kilometre) coming any nearer. This will strike physicists as an odd sort of objection. They would insist that, since the Big Bang, space has indeed expanded at a prodigious rate, and to a prodigious size. Space moves, curves in the presence of gravity, and gets up to all sorts of things we might as well describe as flowing. But Tallis later critiques the notion of “curved” spacetime, so this retort likely would not persuade him. Tallis’s other objections, though, are less idiosyncratic. Plenty of people have believed that time is fundamentally different from space for the common-sense reason that, while I can go back to Canterbury, where I grew up, I cannot go back to 1980, when I was growing up. Believers in spacetime might say: This happens to be true of me, and happens to be true of Tallis, but these may be particular rather than universal circumstances. Perhaps given the right equipment, which I happen not to possess, I could go back to 1980. This objection would be as if a man in 1700, considering that he personally could not travel at a hundred miles per hour, decided that a hundred miles per hour is therefore a radically different sort of thing than ten miles per hour. But Tallis devotes considerable attention to a series of arguments against the possibility of time travel, so this line of thinking is also unlikely to persuade him. Still, there are other arguments that address what Tallis calls “disanalogies” between time and space. For example, we can imagine circumstances where movement in space would be exactly as constrained as our apparent movement in time. A body that has passed the event horizon of a black hole would move in space just as forcefully and unalterably as our bodies “move” in time. In such a situation the dimensions of space would better harmonize with the dimension of time. I once wrote a science fiction story (“What Did Tessimond Tell You?”) predicated on this idea. In it, our physical universe has crossed the event horizon of a temporal black hole. The premise of the story is that the reason we feel time to be passing is that everything in the universe is being time-accelerated towards a very massive temporal “object” located in a certain place in the spacetime manifold. We can’t “move around” in time for the same reason a physical observer couldn’t “move away” from a black hole once she’s passed the event horizon. This time acceleration is constant, giving us a sense of one second passing every second (it has to be temporal acceleration, of course, or we wouldn’t have the sensation of moving forward at all). The story speculates as to what’s likely to happen when we collectively collide with the temporally supermassive object that is drawing us (nothing good, obviously). It also proposes that, just as an object accelerated close to the speed of light experiences time dilation effects, an object accelerated close to the ultimate speed of time would experience space dilation effects: namely, what we see all around us, the massively expanding universe in which we all live. If this speculative account is anything like reality, then a good portion of Tallis’s discussion would be rendered null. This is fanciful, of course, and it may well strike the reader as implausible, but the important thing is that it is perhaps not impossible. To quote Tallis himself, it is “physical possibilities” on which we must concentrate, “not convenient or sensible ones.” But I suspect that Tallis would object that such speculation does nothing to mediate between physics on the one hand and our intuitions and perceived reality on the other. His core interest in Of Time and Lamentation is the human experience of time. It’s just that he wants to situate that experience in a rigorously thought-out, comprehensive physical theory of time as such, because he believes in a material universe. Which is fair enough. But a bigger question is whether persuading Tallis that the physicists are right, that time is a dimension of spacetime like breadth or height, would require him to change his larger thesis. It’s not obvious that it would. Of Time and Lamentation, overall, wants to do two things: to wrest thinking about time from “the jaws” of physics and math, and to think through what time means for human existence in terms of the unavoidable approach of death and the inevitable decline of memory and our sense of living in the moment. Tallis believes that wresting time from physics will make us think in a wiser, more fully embodied way about these questions. But even if he’s wrong about the physics, it wouldn’t really affect his understanding of human experience. Maybe time is one dimension in spacetime, maybe it’s not. Either way, the world is going to look the same to us. We all still have to age and fret about the future and forget about things from the past, and so on. The thinking subject and the “material” object are inseparable; each exists only as the correlate of the other. There is therefore no mind-independent reality-in-itself to which we can gain access; there is no world outside of our thinking of it. None of us individually can construct the phenomenal world by means of our own consciousness. This universe of stable material objects connected in a unified space and of events connected in a unified time is not the work of one individual. Indeed not, though Kant never said this was the case. Kant insists that there is a universe, which he calls the Thing-in-itself, and he accepts that we all individually perceive that universe. He argues that time is one of the structures of that perception, not that mind constructs reality. Mind perceives reality, using the premises of time and space. There is indeed something “out there,” and it provokes in us the sense that a temporal and spatial universe is unified and stable and so on. Tallis’s other objection to Kant is that certain things happened in a certain order — the Big Bang necessarily happened before the creation of the solar system, for instance — even though there were no humans around to perceive them happening. But Kant doesn’t require humans to observe the Thing-in-itself for that Thing, whatever it really is, to do its Thing. The universe is really there. Kant’s point is that there is something about it that we perceive in the manner that Tallis explores — something in it that may or may not be enormousness, durability, consistency, sequentiality and so on, but which we perceive as such. So, whatever sequentiality may be in the Thing-in-itself, it comes to our minds via our perceptions as one-thing-after-another-ness. A greater openness to Kant would not alter the main merit of Tallis’s book: his project of righting the balance between subjective and objective time. The reason that time matters to us is that we are human. It is intimately a part of how we live and think and feel. Tallis is surely right to try to rebalance the scientific and philosophical accounts in that fashion. The one thing missing from all three authors’ accounts of time — from Farmer Tallis, Hunter Gleick, and Gatherer Burdick — is class. Whatever Machiavelli said about princes, aristocrats don’t have to worry about time. They have the plebs to do that for them, to sort out all the time-dependent gubbins and arrange matters for their convenience. It’s the rest of us who are ridden by time — who fret about sleeping through our alarm clocks, or missing our train to work, or not getting back in time to pick up our kids from school, or not completing our work assignment by the boss’s deadline, or not having enough money to last until the end of the month. Of course, time is a universal. The aristocrat grows old and dies just as does the peasant. And science, in the broadest sense, has always striven toward a neutrality designedly blind to such matters as class, race, and gender. But these are not so easily brushed aside where our lived experience is concerned. Tick turns to tock at the same rate for the prince as for the pauper, yet the pauper dies sooner, after a lower quotient of lived satisfactions, and with less chance of being remembered afterwards. The pauper always has more reason to fear the future. I have been proposing a distinction between hunter-gatherer time and farmer time. “Farmer time” does not refer to the sort of gentleman farmer whose wealth insulates him from the shocks of the unexpected. Rather, it refers to the way farming has been for most of the human race, for most of its history: peasants doing the hard labor for aristocratic landlords; subsistence farmers; hardscrabblers. Similarly, the future exerts a radically different pressure on the single mother on benefits, wondering how she is going to feed her kids until her next Social Security check arrives, than it does on the man pondering whether it’ll be the Cap d’Antibes or Bermuda this summer. For the latter, time may fly, or loiter, delightfully or otherwise; for the former it presses cruelly. Let me put it this way: The fact that Frank Kermode’s influential literary-critical study The Sense of an Ending (1966) is referenced in none of the three books seems to me a shame. All three are, in their different ways, about the sorts of stories we tell ourselves about time, which is Kermode’s topic too. One of the things he does rather brilliantly is to explore the difference between two Greek terms for time: chronos and kairos. Chronos means mundane time, ordinary time, time as one-thing-after-another, while kairos means the right time, the special or transcendent moment, the Wordsworthian spot-of-time or Joycean intensity. Being poor means living a life at the mercies of chronos and its exigencies. Being rich means having the leisure and opportunities to enjoy kairos. Carelessness with time is a hallmark of the very rich. The future has always been with us in the same sense that the poor have always been with us. We’re fascinated by time travel because we yearn, on some level, to escape time. But the time we yearn to escape is chronos, the peasant-farmer’s time. The gleam of kairos shines here and there through the interstices of these three books, as it does in our lives. But it remains an intermittency. Adam Roberts is a science fiction novelist, a professor of English and creative writing at Royal Holloway, University of London, and the author, most recently, of The Real-Town Murders (Gollancz, 2017). Adam Roberts, "Till Tomorrow," The New Atlantis, Number 53, Summer/Fall 2017, pp. 122-135. Image: Grigoriy Myasoyedov, Time of Harvesting (Mowers), 1887. Public domain via WikiArt.org.